Of course, the picture doesn't do it justice! 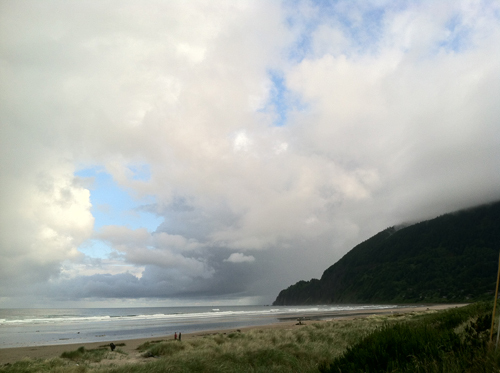 The clouds are huge and dwarf Neahkahnie Mountain. There were shards of rainbows tucked into the clouds this morning as well. The beauty is breathtaking. I have three days off from my new part-time job and I am planning to paint and study as much as I can. I went out right before the high tide this morning. I set up to paint so that I was slightly at an angle looking out over the waves, a slight deviation from my usual head-on take. 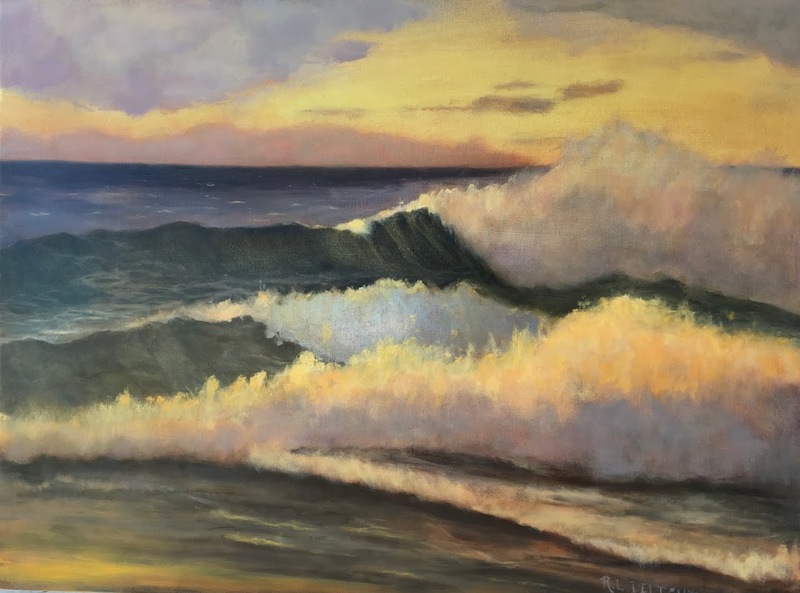 I will be doing more of that but I still really like painting the waves looking head on. ©2013 R.L. 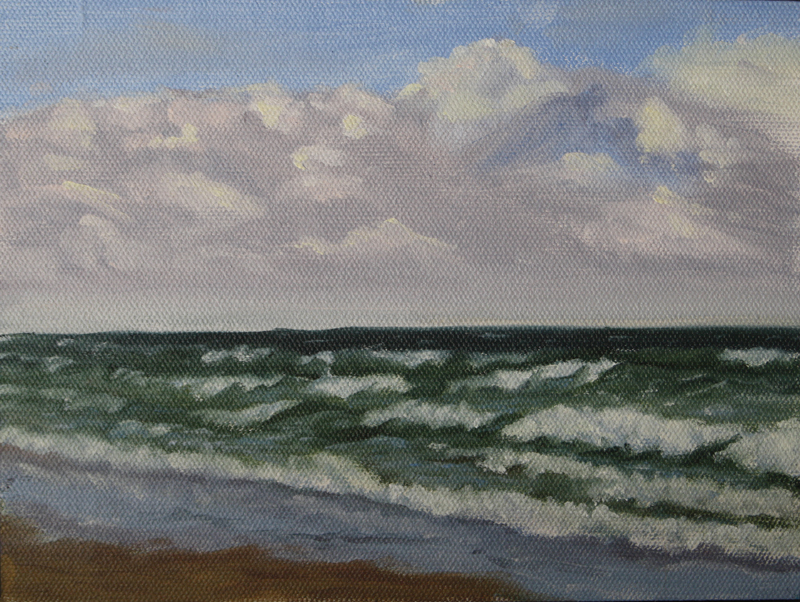 Delight: Wave Study #52, Epic Clouds, 6"x8", oil on canvas panel. I really could have spent the entire time just painting the clouds! I have a lot to squeeze into little time so this will be all to the post for now. I am determined to paint on copper over the next two days. The studio painting continues to evolve as well.